Ironically, some of the most damning evidence again the AGW or Anthropogenic Global Warming Theory comes from Al Gore himself. This post has been updated and reformatted since being published. Climate change is the norm. Never in the 800,000-year ice core record is climate not changing. Four Temperature Peaks in the last 400,000 years were all above today’s temperatures and occurred at lower CO2 levels. Every ice-age began when CO2 was at or near peak levels, in other words, high CO2 levels were not enough to prevent ice ages. The current record high level of 400 parts per million(ppm) CO2, a full 33% above any previous level on the chart, has failed to carry temperatures to a record high. There is no mechanism defined that explains how or why CO2 would lead temperatures to pull the globe out of an ice age. There is no mechanism defined to explain how or why high levels of CO2 would trigger an ice age. The only defined mechanism by which CO2 can cause climate change is by trapping outgoing long-wave infrared (LWIR) radiation between the wavelengths of 13 and 18 microns. CO2 can only result in warming, there is no mechanism by which it can result in cooling. CO2 can only trap outgoing radiation, that is it. 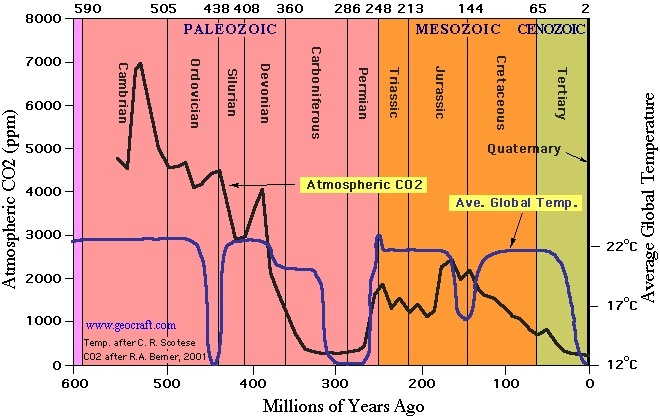 The current CO2 level of 400 ppm is at the extreme low end of the past 600 million years. Plants and therefore most life will die if CO2 falls below 180ppm. CO2 has been as high at 7,000 ppm, or 17.5x today’s level and the earth has NEVER in 600 million years experienced catastrophic global warming, NEVER. The earth fell into an ice age when the CO2 level was at 4,000 ppm, or 10x the level of today. Modern reefs and sea life developed over the past 220 million years when CO2 and temperatures were much higher than today. Coral Reefs only exist in the warm parts of the oceans and rely on dissolved CO2 to form their CaCO3 shells. There is no defined mechanism by which CO2 can allow the globe to cool, the only defined mechanism it to trap outgoing radiation between 13 and 18 microns. Over the past 600 million years, CO2 and Temperature simply aren’t correlated, and regardless of the level of CO2, temperatures cap out around 22 Degrees C.
CO2 caused ocean acidification is simply not a possibility due to the huge buffering capabilities of the ocean, once again, the coral reefs developed during periods of much higher CO2 levels. Climate “science” is a “model” based science, its entire credibility is dependent upon the accuracy of its computer models. The very precise climate models are very inaccurate. The confidence of the climate science “consensus” increased as the climate models increasingly deviated from observations. 100% of IPCC Climate Models overestimated the expected increase in global temperatures, 100%. A 100% overestimation rate involving that many models represent a systemic bias, not a random error. The climate models assume a linear relationship between CO2 and temperature. That relationship does not exist and will be covered in a later smoking gun. Real science relies on the scientific method, and reaches a conclusion through falsification (rejecting the null), experimentation, data collection, data analysis and reproduciblity. Climate “science” relies on none of the classical scientific practices, and relies on computer models, peer review and consensus. Albert Einstein isn’t remembered because he agreed with the “consensus,” he is remembered because he shattered the existing consensus. The extreme failure of the IPCC Climate Models to accurately model global temperatures means that the IPCC Modelers failed to include significant variables, failed to properly model CO2 or both. Regardless of which is true, the IPCC has failed on an epic scale to make the case that CO2 is the cause of the recent warming. If climate “science” was a “settled science,” the climate models would be able to accurately predict the climate. They don’t even come close. In real science if something is understood it can be modeled with great accuracy. Things fall at 9.8 m/sec^2 in a vacuum can be tested over and over and over again and the results will always be the same. If something isn’t understood, it can’t be modeled with any accuracy. If something really isn’t understood, the experts won’t even be able to agree on what is wrong with the models. The vast number of different and unique excuses (52 documented here) to explain why the models have performed so poorly proves just how little the expert climate “scientists” truly know. If this “science” is truly “settled” why are there so many different models with widely different results? The only thing that all the models seem to agree upon is that they are all wrong. I imagine that is because the most significant factors used in these models is CO2. To properly cure an illness, one must first properly diagnose it. Prescribing eyeglasses for headaches caused by a brain tumor will only lead to the death of the patient. Climate “scientists” can model CO2 and temperature all they want, the models will never be accurate. The climate models ignore significant factors like the Sun, Clouds and Water Vapor. Scott Adams of Dilbert fame even weighed in on this one. OSU Stadium holds 100,000 Buckeye Fans and atmospheric CO2 is 400 ppm. If every Buckeye Fan represents one atmospheric molecule, then 40 Buckeye Fans would represent atmospheric CO2. Man however is not responsible for all the atmospheric CO2, and is responsible for at most 15 of those 40 molecules of CO2. Man’s contribution to atmospheric CO2 is the equivalent of 15 Buckeye Fans in OSU Stadium. CO2 is a trace gas at 400 ppm, and its contribution to global warming is to trap a very narrow band of outgoing radiation between 13 and 18 microns. Those wavelengths are consistent with a black body of temperature -80 degrees Celsius. More on this topic is covered in a later smoking gun. CO2 is 0.0004 or 0.04% of the atmosphere. Is it plausible that “activating” 1 out of every 2,500 molecules in the atmosphere can actually result in a material temperature change? Unfortunately, simple experiments to demonstrate even the basics of this “science” haven’t been properly run or even tried. What efforts have been attempted are complete jokes from the perspective of real science. Anthony Watts shows no mercy when he “peer reviews” Al Gore’s and Bill Nye’s effort to demonstrate the GHG effect of CO2. It is truly alarming how such foundational figures can’t even demonstrate even the basics of the “science” that they have manufactured and promoted at great tax-payer expense. Does it seem plausible that “thermalizing” 1 out of every 2,500 molecules can make a material difference upon the remaining 2,499? Especially when its energy if consistent with a black body of temperature -80 degrees Celsius? When discussing global warming with a climate alarmist, be sure to always tie things back to how CO2 could be the cause. The only defined mechanism by which CO2 can affect climate change is by trapping outgoing radiation between the wavelengths of 13 and 18 microns. The earth emits IR mostly between 6.5 and 12.5 microns, with a peak near 9.5 microns. 9.5 microns is consistent with a black body of temperature 18 degrees Celsius. CO2 is mostly transparent to those wavelengths. CO2’s absorbs between 13 and 18 microns, with a peak near 15 microns. Those wavelengths are consistent with a black body of temperature -80 degrees Celsius. CO2’s signature would be to cause warming in Antarctica, which is addressed in a later Smoking Gun. H2O is by far the most significant GHG, and absorbs across the IR Spectrum. Where there is water vapor in the atmosphere, there is warmth. The same can’t be said about CO2. CO2 absorbs a small fraction of the IR Spectrum having 3 narrow peaks at 2.7, 4.3 and 15 microns, all of which largely miss the peak outgoing IR radiance of the earth at 9.5 microns. H2O largely absorbs the same IR spectrum as CO2, and is at much higher concentrations in the atmosphere. H2O IR absorption usually makes CO2 contribution to warming inconsequential. CO2 has changed from 0.0003 to 0.0004 over the past 100 years and absorbs a very very very small % of the outgoing radiation. H2O can change from 0.001 to 0.04 in a day and absorbs a vast majority of the outgoing IR spectrum. Neither H20 or CO2 have ever caused catastrophic warming of the globe. If there is anyplace on earth that is a natural control for the impact of increasing atmospheric CO2 it is Antarctica. Antarctica’s average winter temperature is -60 degrees Celsius which is close to the peak absorption of CO2 of -80 degree Celsius. Most importantly however is that the Antarctica air is very very very dry, so there is no impact from water vapor. The only significant GHG in the South Pole Troposphere is CO2. Satellite measurements show no South Pole warming over the past 36 years. During this time CO2 increased from 330 ppm to 404 ppm. Ground measurements show no South Pole warming over the past 59 years. During that time CO2 increased from 315 ppm to 405 ppm. Increasing CO2 nearly 30% had no impact on temperatures in the region most likely to be impacted by an increase if CO2. The North Pole is not a “control” for CO2 because its temperature is largely influenced by ocean currents. BTW, an ice free North Pole is nothing new or anything to be alarmed about. The graphic is of the USS Skate SSN-578. What efforts to prove Antarctica has been warming with the rest of the globe have failed. Once again, when discussing CO2 caused climate change or global warming, the question that needs to be asked is how does CO2 cause the observation. CO2’s only defined mechanism by which to affect climate change is to absorb IR radiation between the wavelengths of 13 and 18 microns, that is it. CO2 can only cause warming by “trapping” outgoing radiation. 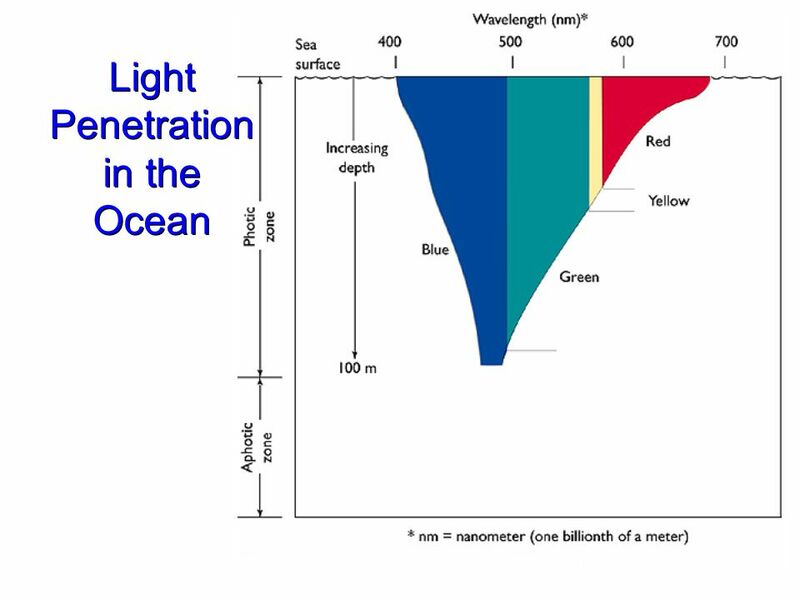 Only incoming visible and ultraviolet light penetrates and warms the oceans. IR radiation does not penetrate the oceans, has very little energy and most likely results in cooling the oceans through surface evaporation. The oceans hold over 1,000x more energy than the atmosphere. There simply isn’t enough energy in the entire atmosphere to warm the oceans. The oceans are warmed by incoming radiation and geothermal sources. Warming oceans also outgas CO2 into the atmosphere. That is why CO2 lags temperature. It takes time to warm the oceans, and as the oceans warm they release CO2. That is also why CO2 falls during ice ages. Cold water absorbs more CO2. This is due to Henry’s law and can be observed by warming a glass of Coke. The fact that the oceans are warming is evidence of more incoming high energy visible radiation reaching the earth’s surface, not evidence of CO2 trapping outgoing low energy IR. Climate models almost exclusively focus on CO2 levels and ignore incoming high energy visible radiation and atmospheric H20 levels which likely explains why they are so inaccurate. What is warming the oceans is also most likely what is warming the atmosphere. Either there are two distinct phenomena occurring, one caused by man and one caused by nature, or there is only one natural phenomenon causing both (which has been the case throughout all of history). Either something natural is warming the oceans and man’s CO2 is warming the atmosphere, or the same natural cause is warming both the oceans and the atmosphere above it. Smoking Gun #8: Atmospheric Temperatures follow ocean temperatures, not atmospheric CO2. 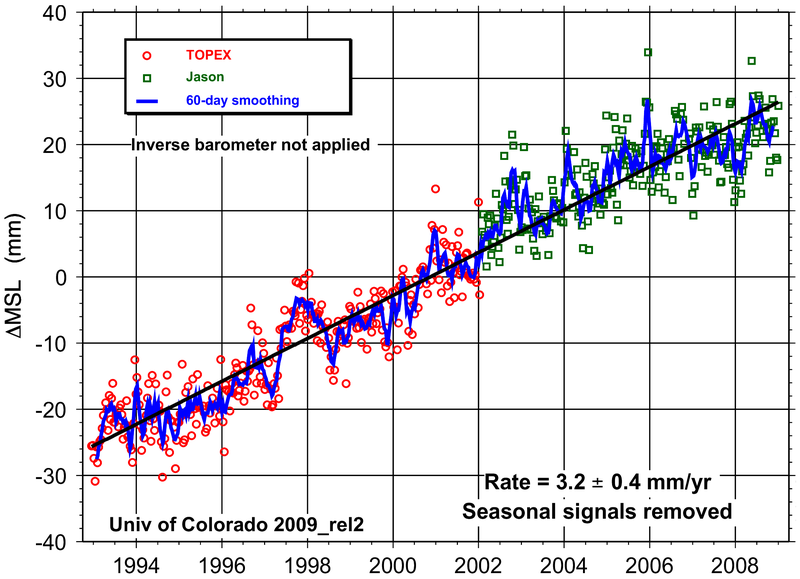 The increase in atmospheric CO2 is near linear, atmospheric temperatures are not. Atmospheric CO2 and Atmospheric Temperatures simply aren’t correlated, and their certainly isn’t the linear relationship that exists in the IPCC Models. In reality, atmospheric temperatures follow the ocean temperatures, not atmospheric CO2. Ocean temperatures are dependent upon the amount of incoming solar radiation that reaches them combined with ocean cycles such as the Pacific Decadal Oscillation (PDO/El Nino/El Nina) and others. The balance of incoming and outgoing radiation is why the atmospheric temperature forms spikes and steps instead of a smooth linear increase. Smoking Gun #9: Atmospheric CO2 follows ocean temperatures, not man’s combustion. Man’s rate of CO2 creation is increasing, yet the rate of change in atmospheric CO2 is highly variable. The rate of change in atmospheric CO2 is highly correlated with atmospheric temperatures, which are highly correlated with ocean temperatures and cycles. Man’s production of CO2 can not explain the large variation is either the atmospheric CO2 or atmospheric temperatures. Ocean temperatures can explain both. There is no mechanism by which CO2 would allow global temperatures to cool, CO2 only increases, and it only absorbs more and more energy. CO2 can’t explain the large rapid coolings which frequently occur. Once again, when discussing AGW you always have to tie the observation back to CO2, and its lone mechanism to affect climate change through absorbing long-wave IR between 13 and 18 microns. CO2 traps outgoing radiation from an already warmed earth, CO2 and IR doesn’t warm the earth. CO2 is transparent to incoming warming visible and UV radiation. Daytime temperatures are determined by the amount of incoming radiation that reaches the earth’s surface and have nothing to do with atmospheric CO2. CO2 traps outgoing radiation, record high temperatures require new energy to be added to the system. CO2 does not add energy to the system. During a hot summer day you can fry an egg on the hood of a car, but that has nothing to do with AGW or CO2 and everything to do with incoming radiation. If AGW and CO2 was the true cause of the warming, you would be able to fry an egg on a hot day in the shade of a tree using only the back radiation from the atmosphere. True evidence of AGW and CO2 caused warming would be that the spread between day and night temperatures would be narrowing in the very dry deserts. I’ve found no evidence of that happening, in fact the South Pole proves otherwise. Water vapor dominates the heat trapping in the lower atmosphere, and is why you can sleep naked in a rain forest, but not in a dry desert. The fact that record daytime temperatures are being set is evidence that more energy is being added to the system. That alone can explain the warming, and CO2 has nothing to do with it. Classical science is done through the “Scientific Method.” An observation is made, a hypothesis is formed, experiments are designed, data is collected, the data is analyzed and the hypothesis is either accepted or rejected. In most fields of science the “null hypothesis” is the status quo or the accepted explanation. If in that rare case the null hypothesis is in fact rejected, the research is published and others will rush to “replicate” the experiments to validate the findings. True science is based upon skepticism and the “belief in the ignorance of experts.” Science progresses through falcification, over-turning the apple cart, proving the experts wrong, angering one’s “peers” and defying the “consensus.” Classical science is not done by following the bandwagon, agreeing with the consensus and being welcomed, accepted and celebrated by like-minded “peers.” Real science is done by proclaiming that “the earth is not flat dammit, and I’m going to prove it, and I don’t care what anyone else thinks.” How then would the scientific method be applied to the field of climate science? An observation is made that both temperatures and CO2 have been increasing since the dawn of the industrial age. A hypothesis is made that man-made CO2 must be causing the increase in temperatures, the commonly accepted/status quo belief is that climate change is natural. Experiments would be designed and data would be collected and then analyzed. For this smoking gun we will ignore the design experiments part because the field of climate science doesn’t rely on experiments, it is almost completely dependent upon data samples and computer models. I’ll address some experiments in a later smoking gun, this smoking gun will focus on the ice core data to determine if the temperature variation during the period when man has been producing CO2 (the past 150 and 50 years) is statistically different from the previous 12,000 years of the Holocene. Using the scientific method and applying it to the available ice core data, the null hypothesis that climate change is natural IS NOT REJECTED. The relevant data is the temperature and CO2 data for the “Holocene.” Download any ice core data set and test the hypothesis yourself. I have yet to find a single ice core data set that shows the temperature variation over the past 150 and/or 50 years is statistically different from the previous 12 to 15,000 years of the Holocene. Note, you have to use surface temperatures for the most recent 50 years. There have been many previous temperature peaks during the Holocene, all of which reached temperatures above today’s level. The Minoan, Roman and Medieval warming periods were all warmer than today. Archaeological evidence of a warmer past are Roman vineyards in Northern England and the Vikings inhabited and farmed Greenland. 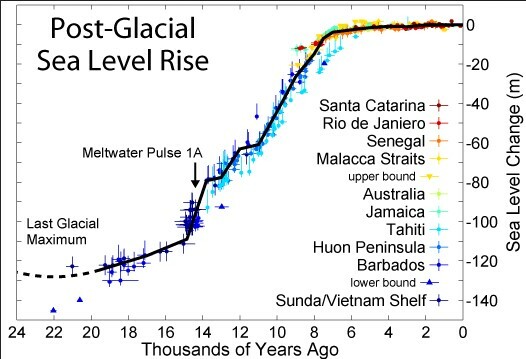 I have yet to find a single ice core data set demonstrating that current temperatures are at a peak for the Holocene. It is important to note that when NASA/NOAA, the Main Stream Media or Al Gore report that “we are experiencing the hottest year on record,” they are referring only to the past 156 years of instrumental records, not the ice core data or the entire Holocene. Those data set begin right when an unusually cold period called the “Little Ice Age” was ending. Much of the warming since 1860 is nothing more than the earth rebounding from an unusually cold period. The main data sources used to support the AGW Theory are ground level surface and ocean thermometers. There are all sorts of problems with this approach such as the “Urban Heat Island Effect,” and the non-transparent process of “adjustments.” Those issues aside, once again, the warming has to be tied to CO2 and trapping outgoing radiation between 13 and 18 microns. Fortunately, NASA has a program to define and answer many climate-related questions. MODTRAN is a wonderful tool to use when discussing global warming with a climate alarmist, it will save you countless headaches. Looking down from 1 km (the atmospheric layer where all thermometers are located) the Upward IR Flux when CO2 if 400 ppm is 407.572 W/M^2. Ceteris paribus, doubling CO2 to 800 ppm results in an Upward IR Flux of 407.572 W/M^2. According to MODTRAN, doubling CO2 has no measurable impact on the energy balance is the lower 1 km of the atmosphere that contains all the ground/surface/ocean temperature measurements. The net change to the energy balance is 0.000 W/M^2. Simply cutting the humidity in half changes the UpWard IR Flux to 409.456 W/M^2. Adding a simple stratus cloud base will change it to 396.896 W/M^2, in other words, when clouds and water vapor are considered, CO2 becomes irrelevant. For the entire atmosphere (looking down from 70 km), changing CO2 from pre-industrial 280 ppm to the current 400 ppm changed the Upward IR Flux from 282.600 to 280.999 W/M^2, or less than 2 W/M^2 throughout the entire atmosphere. A simple cloud layer alters the balance by over 10 W/M^2. Ground measurements do not correlate well with Satellite and Balloon measurements. Satellite data shows no significant warming since 1997, and much of the warming is clearly due to El Nino caused temperature spikes. The data adjustments aren’t similar to adjustments for random errors, where the adjustments are also random in nature. Temperature “adjustments” almost universally increase the slope of the temperature graph, lowering distal and elevating proximal data. The result is to suspiciously make the temperature increase more linear and in line with the CO2 increase. This issue will be addressed in a later smoking gun. One of the most damning smoking guns is that the entire field of climate “science” appears to believe that there is a linear relationship between CO2 and Temperature. The IPCC models focus exclusively on CO2, and the relationship they model is a simple linear regression. If you try to model a logarithmic relationship as linear you can be 100% certain that the predicted value will overestimate the actual observation and that the error will grow over time. That is exactly what has happened with 100% of the IPCC Models, 100%. The vast majority of the heat-trapping capability of CO2 occurred as it increased from 0 ppm to the pre-industrial level of 280 pp. The Downward Forcing changed from 230 to 258 W/M^2, an increase of 28 W/M^2. Increasing CO2 from 280 to 400 ppm increased the Downward Forcing from 258 to 259 W/M^2, an increase of 1 W/M^2. Doubling CO2 from 400 to 800 ppm would increase the Downward Forcing from 259 to 263 W/M^2, an increase of 4 W/M^2. That additional energy is dispersed throughout the entire 70 km of the atmospherics. Doubling CO2 has no measurable impact on the lowest 1 km of the atmosphere, and a simple addition of H20 or a cloud layer dwarfs the impact of the additional CO2. 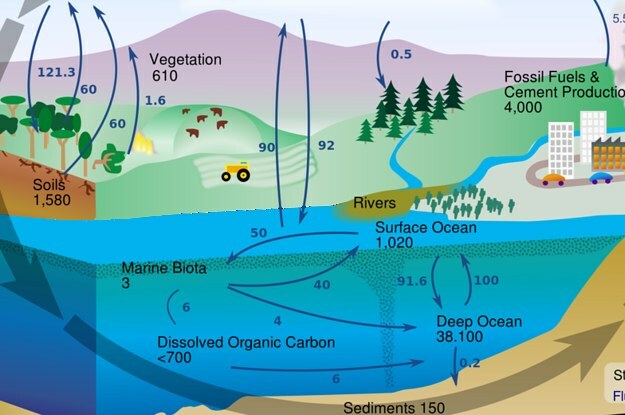 CO2 only impacts the energy balance in the upper atmosphere once H2O has precipitated out. The fact that the “adjustments” to the historical temperature records makes temperatures more linear and more correlated with the increase in CO2 makes the “adjustments” very suspect, and inconsistent with the real physics behind atmospheric CO2. The climate models are simply designed to “prove” CO2 is the cause of the warming, not to accurately model the real climate. The bottom line is that the climate is impacted my an infinite number of variable, not just CO2. The best analogy to explain this concept is painting a window. The first coat of paint blocks out a lot of light, but each additional coat blocks less and less light. In economics, it is called “the law of diminishing returns” and the example is always a thirsty party goer that really enjoys his first beer, but by his 20th beer the enjoyment per beer has been greatly reduced. One of the most Orwellian and suspect foundations of the AGW Theory is the temperature reconstruction on which it depends. The original IPCC Report in 1990 used the bottom chart as its temperature reconstruction. 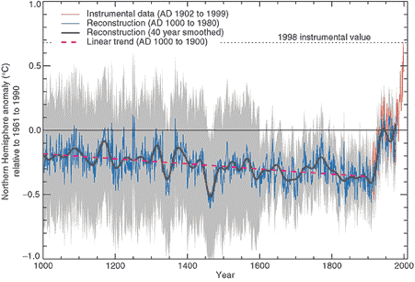 The chart accurately identified the well documented Medieval Warming period and Little Ice Age. The problem is, the original chart used by the IPCC did not support the narrative that CO2 was causing global warming. A campaign was then started to rewrite history to make a more convincing argument to convict CO2 and eliminate the inconvenient Medieval Warming period. The IPCC ultimately replaced the problematic chart with the problem-ridden and sharply criticized and widely debunked “Hockey Stick” Chart. The Hockey Stick and other following temperature reconstructions include proxies with extremely large errors such at tree rings, coral and even ice cores. Even though thermometer data was available, and in fact used by NASA and NOAA in their global temperature reconstructions, Michael Mann did not include instrumental data until 1902. Its addition dramatically altered the trend of the chart. Proxy data was included until 1980, and once discontinued the trend of the chart was dramatically altered again. 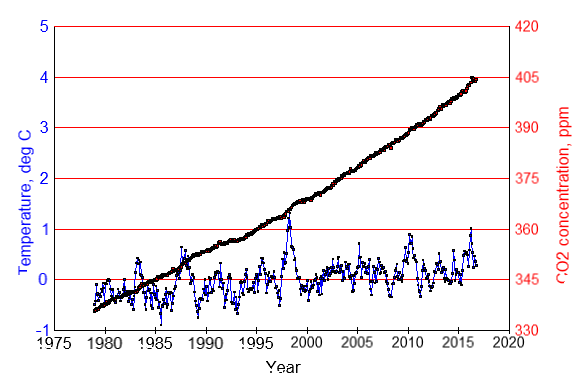 The Hockey Stick shows a full 1.1 degree Celsius increase between 1900 and its publication in 1999. 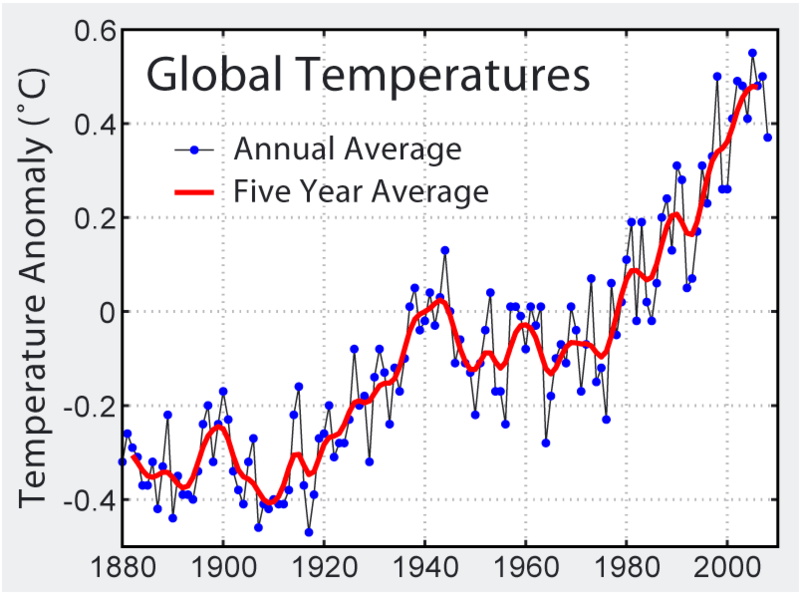 NASA’s global temperature chart shows an increase of about one half that value at 0.6 degree Celsius. The longest continual thermometer record spanning over 350 years shows no warming until a suspicious rapid increase starting in 1980. Nearly 100% of the warming in the 350 year record has occurred since 1980, which is completely inconsistent with the AGW Theory and all other temperature reconstructions. The Medievel Warming period has been widely demonstrated to be a global phenemenon. There are serious problems with the ground measurements used to in the temperature reconstructions. If in fact, temperatures are increasing at an increasing rate, glaciers should be melting at an increasing rate and therefore sea levels should be increasing at an increasing rate. They aren’t, in fact, the most recent data shows that the rate of increase has been DECREASING since 2004. The rate of change of the sea level has not been increasing, which would be expected if in fact we are warming at an increasing rate. Sea levels are increasing at a rate of 3 mm/year, or the height of 3 dimes. 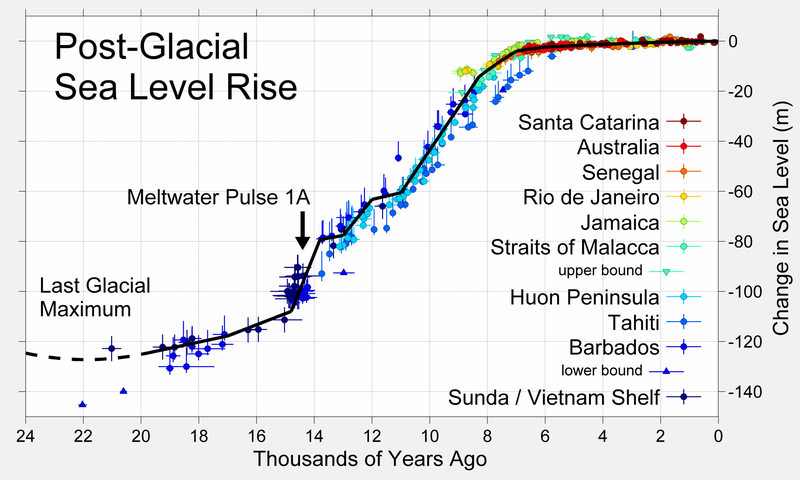 The rate of sea level increase is nothing alarming on a historical scale. It is far more likely that we will experience sea level decreasing ice age long before Manhattan gets flooded. James Hansen predicts a sea level rise of 2 to 5 meters over the next 84 years, or 24 to 60 mm/yr. During the ending of the recent ice age, sea level increased 100 m over 6,000 years at a rate of 17 mm/yr, and that was melting mile high ice over North America. NASA’s James Hansen in his “peer reviewed” paper claims sea level we will increase at a rate higher than what existed at the end of the ice age. Does that even seem remotely possible considering there are far fewer glaciers to melt and the actual rate of sea level increase has been DECREASING? Smoking Gun #17: The rate of change in Temperature is unaffected by Anthropogenic CO2. 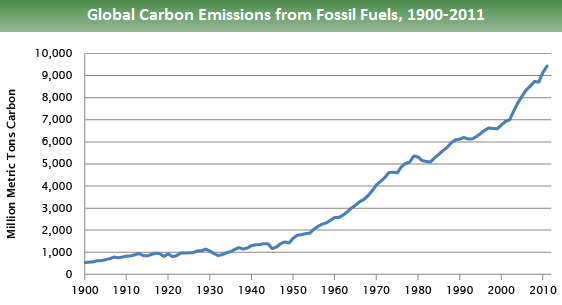 Most anthropogenic CO2 was produced post-WWII. Temperatures increased 0.6 degree Celsius between 1910 and 1945, before most anthropogenic CO2 was produced. 0.6 degrees over 35 years. Temperatures remained flat between 1940 and 1980, even though CO2 increased. 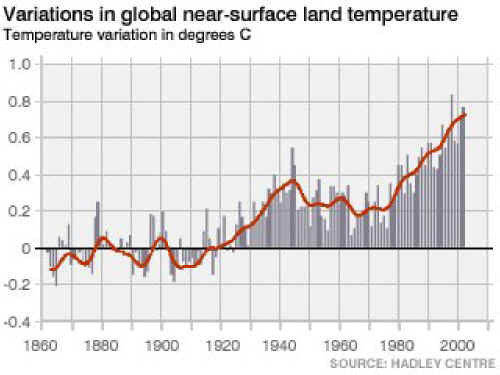 Temperatures increase 0.6 degree Celsius between 1975 and 2010. 0.6 degrees over 35 years. Anthropogenic CO2 has not accelerated or altered the natural rate of temperature increase. Smoking Gun #18: The rate of change in atmospheric CO2 isn’t related to Anthropogenic CO2 production. The above chart must be analyzed in the context of the largest CO2 sink, the oceans, are warming and degassing CO2 during this period. In 1959 man produced 2.25 GtC per year, atmospheric CO2 increased by 2 ppm/year. in 1987 man produced 5.5 GtC per year, atmospheric CO2 increased by 2 ppm/year. The huge spikes in 1987 and 1997 are most likely due to El Ninos, and not related to anthropogenic CO2. In 1992 man produced 6.1 GtC per year, atmospheric CO2 increased by 1.75 ppm/year. Anthropogenic CO2 increased by nearly 5x between 1959 and 2014 from 2.2 GtC to 9.8 GtC in an almost linear manner. The rate of Atmospheric CO2 increased from 2 ppm in 1959 to 4 ppm in 2012 with a great deal of volatility that could not be due to anthropogenic CO2. Smoking Gun #19: The Equatorial Upper Tropospheric “Hot Spot” simply doesn’t exist. As the above graphic demonstrates, the observed temperature change of the upper equatorial troposphere is the exact opposite of predicted. When models are a full 180 degrees off they simply can’t be more wrong, and useless for explaining the observation. The field of Climate “Science” is the only field that I know of outside politics where you can be wrong on such an epic scale and still keep your job. Basically every major and even minor prediction of the nascent field of Climate “Science” has been wrong on a biblical scale. The climate models demonstrate an epic level of incompetence, ignorance, scientific malpractice and inaccuracy. In the 1970’s and 80’s the environmental scare du jour was the coming ice age. This video clip debunks the claims of disappearing Snow Cover and Sea Ice, Hurricanes, Extreme Weather, Tornados, Droughts, Floods, Heat Waves, etc etc. This video clip debunks the extreme Sea Level change claims. Polar bears are not endangered, in fact, they have been thriving during the claimed warming period. This video clip debunks the claims of ocean acidification. This video highlights why the “experts” avoid publicly debating Global Warming…they lose. This video highlights why Climate Alarmists don’t like to debate…they lose. I truly feel sorry for Bill Nye and Al Gore, Anthony Watts simply destroys their credibility. British courts disagree with Al Gore. Smoking Gun #21: The Climategate Emails expose scientific collusion, malpractice and highly unethical, deceitful, deceptive and unscientific practices. Climate “Science” is the first social media science where the number of likes and friends determines the truth. In a real science, the purpose is to debunk the “consensus,” not agree with it. Peer pressure isn’t part of the scientific method. Smearing people that disagree with the “consensus” as “deniers,” “flat earthers,” “Skeptics,” and “anti-science,” isn’t part of the scientific method. Science by “authority” isn’t science. CO2 is not a pollutant, it is plant food, and a fundamental molecule of life. Plants die when CO2 falls below 180 ppm, and Submarines have CO2 levels 20x the level in the atmosphere. The “solutions” presented don’t solve the problem and are extremely expensive. The “solutions” do nothing to materially slow the growth of CO2 and/or temperatures. There are serious problems with NOAA temperature measurements. The historical data has been adjusted. There are serious problems with the sea level measurements. There are serious problems with the glacier claims. “Independent” climate agencies appear to be colluding. There is evidence of extremely disturbing unprofessional/unethical/dishonest behavior among climate scientists. There are problems with claims of a “consensus.” Here is another Video. The “Climategate” emails expose extreme misconduct. Climate “scientists” believe warming has nothing to do with the disappearance of Mt Kilimanjaro Glacier. Eisenhower warned of the possibility of the corruption and politicization of science. The field of Climate Science lacks diversity and inclusivity, and condones/encourages a hostile work environment towards those who don’t join the herd. CO2 is not a “pollutant,” it is essential for life. Plants die when CO2 drops below 180 ppm. Fraud has already been discovered at the highest level. Methods of measuring CO2 differ. Because CO2 can cause both warming and cooling, it is an untestable hypothesis. Science is dependent upon falsification, therefore climate “science” is no science at all. This graphic demonstrates that water vapor and temperature are almost indistinguishable in the lower atmosphere, temperature does not follow CO2. Smoking Gun #22: Climate “Science” isn’t science at all. Some described it as “Politicized” science, but in reality, it is just cleverly disguised politics. Whether it is a coming ice age or global warming, the “solution” is always the same; less freedom, greater government control over our lives, fewer choices, higher costs and a lower standard of living. The documentary “The Great Global Warming Swindle” highlighted the political foundation of Global Warming movement early in its development. Another documentary “Iron Mountain; Blue Print to Tyranny” was another documentary, but made before the Global Warming movement. It highlights the MO used by left-wing politicians to gain control and power. Unlike the Free Market, socialism isn’t self-sustainable. Socialism is dependent upon funding from taxes generated from the free market system. If a capitalist wants more money, they produce a good or service for the market. If a socialist wants more money, they have to motivate the public to want to pay higher taxes. Preventing global warming, saving the earth, fear mongering and other tactics are all commonly used by the left-wing. The key point, however, is that the truth isn’t important, the ability to raise money is what is important. Anti-capitalism and anti-human politics dominate the environomental movement. Bigger government, less freedom more interference in our lives. Smoking Gun #23: The costs of fighting climate change are astronomical, and the benefits are basically immeasurable. The costs of waging a war on climate change are astronomical and measured in percentages of GDP. The benefits are basically immeasurable. For the following talking points, I’ll use the lower estimate of $42 billion per year. At $50,000/yr, $42 billion could pay 840,000 teachers/year. At $2,000,000 each, $42 billion could build 21,000 bridges/year. At $4,000,000 each, $42 billion could build 10,500 schools/year. At $1,000,000,000 each, $42 billion could develop 42 new drugs/year. With a population of 320 million, $42 billion could give every American $131/yr. At $500,000/mile, $42 billion could paive 82,000 miles of road/year. The same argument can be applied to buying up and preserving the rainforest, building endangered species breeding farms, hospitals, water and sewage treatment facilities and/or any number of projects that will make a real impact on humans and the environment. Even the smartest, most arrogant, idealistic and naive kids in the room, the know-it-alls at Google failed miserably at developing an alternative energy solution. All that time, effort and money could have been spent on solving real problems and making a real difference. Silicon Valley just seems to think that solving the energy problem is as easy as writing code and that everyone else should pay for their naivety/ignorance/ideas/failures. Smoking Gun #24: What Einstein concluded Global Warming and more CO2 are bad anyway? Civilizations and nature thrive during warming periods, they die during Ice Ages. 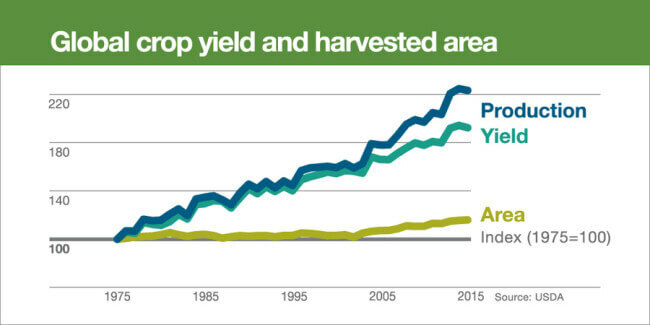 Crop yields increase with higher CO2, reducing starvation, improving the standard of living and lowering the cost of food. One of the easiest ways to greatly improve the lives of people is to get them an inexpensive energy source, and the cheapest energy sources are carbon based. The Little Ice Age was defined by starvation, plaque, hardship, social unrest, and violent revolution. People tend to move out of cold regions and into warm regions. While catastrophic global warming is 100% pure speculation and something that has never occurred during the past 600 million years, even when CO2 was as high as 7,000 ppm. The likelihood of an Ice Age is almost a 100% certainty. Wind and solar power won’t work when covered in a mile of ice. Preparing for global warming leaves society completely unprepared for the far more likely and catastrophic event of an ice age. This graphic says it all, we simply get far more food out of far less land with higher CO2. I would think that would he every environmentalist’s dream come true considering we are cutting down the rain forest to grow food/fuel crops. The push for biofuels has resulted in the destruction of the rain-forest and other sensitive ecological areas. Oil and fracking are infinitely more environmentally friendly requiring an extremely small foot-print to deliver vast amounts of energy, whereas biofuels require plowing, planting, fertilizing, herbiciding, pesticiding million and millions of acres of land that could be used for far better uses. BTW, you have to burn huge amounts of petroleum-based diesel to run the tractors, trucks and production facilities required to produce the extremely inefficient biofuels like ethanol. Smoking Gun #25: Atmospheric temperature follows atmospheric H2O, not CO2? The above graphic about says it all. Where there is H2O in the atmosphere, there is warmth. Atmospheric temperature does not follow CO2 which is and even 400 ppm all the way up to 70 km. Water vapor by far is the most significant greenhouse gas. Evidence of Global Warming is not evidence man or CO2 is causing the warming. Climate change is the norm. No one doubts that the climate is changing or that temperatures have increased since the end of the last ice age. CO2 has been as high as 7,000 ppm and never caused catastrophic warming. Always tie the observation back the CO2’s mechanism to affect climate change. CO2’s only mechanism is through absorbing long wave IR (LWIR) between 13 and 18 microns. Yes, the oceans are warming BUT how does CO2 cause it? LWIR between 13 and 18 microns won’t warm water. The Climate Alarmist will almost certainly point to disappearing ARCTIC Ice, which has been declining, but global sea ice has not. How can CO2 cause more ice in the South and less ice in the North? Artic ice floats on water and is influenced by the ocean temperatures. Ocean temperatures aren’t impacted by CO2. Ice ages begin when CO2 is peaking, and end when CO2 is hitting a minimum. There is no mechanism by which CO2 could either end or start an ice age. Clearly, other major forces control the climate. CO2 and temperatures simply aren’t highly correlated, and what correlation does exist shows CO2 lagging temperature. There is nothing abnormal about the temperature variation over the past 50 and 150 years when compared to the entire Holocene. The Minoan, Roman and Medieval warming periods all had temperature peaks above today’s level and lower CO2. The Mt Kilimanjaro Glacier is not melting, it is at 19,340 ft and temperatures never get above freezing. Ask the Climate Alarmist how a glacier “melts” is sub-zero temperatures. No IPCC climate model accurately models global temperatures, and all overestimated the current temperature change. Climate “Scientists” have a “consensus” on a theory that their models disprove. Meteorologists can’t predict the weather 5 days out, Wall Street Investment houses can’t predict the S&P 500 5 days out, Climate “Scientists” can’t predict the infinitely more complex global climate 100 years out. The costs of fighting the war on climate change far outweigh the benefits. The fortunes being spent would be far better spent on solving real problems. The same people that told you we had a coming ice age, a 10 year supply of oil, that you can keep your doctor, that Obamacare would lower health care costs, that raising the minimum wage will create jobs, that a baby is a choice not a life, that ISIS/ISIL was the JR team, that giving Iran nuclear material will make us safer, that competition is bad for the public schools, that tough gun control laws lowers crimes, that “safe spaces” are appropriate for our Universities, painting cops as pigs is “art,” and that Trump had no chance of getting elected are the same people telling you that the coming ice age, global warming, climate change has a “consensus” and is “settled” science. Record high daytime temperatures are evidence of global warming, BUT NOT AGW, they are evidence that more incoming energy is reaching the earth. The GHG effect only traps OUTGOING LWIR, and has little or nothing to do with daytime temperatures. There are no trends of worsening droughts, tornados, hurricanes, floods, extreme weather, accelerating temperatures or accelerating sea level increases. None. Global warming is more religion and superstition than science. Coral reefs and sea life developed during periods of much higher CO2 levels. Coral is made out of calcium carbonate, and like plants needs CO2 to survive. When the answer to “are we warming” is best answered with “it depends on what data set or time period is chosen,” you know there are real problems. Balance must be restored to our Research Universities. Current staffing statistics demonstrates an extremely concerning systematic discrimination against conservatives. Both sides of the story must be known to reach the truth. An open source approach must be taken towards the global temperature reconstructions and climate models. Way too much power is entrusted into the hands of a very few, highly biased and unethical activists masquerading as “experts” and “scientists.” Transparency is needed to ensure accuracy and appropriateness of the temperature “adjustments” and factors and data used in the models. No open source temperature reconstruction would accept “Mike’s Nature Trick…to Hide the Decline,” and no open source model would put so much weighting on CO2, or accept the highly inaccurate and biased results of the current models. Research grants can no longer be given intending to produce a given result. Public policy should be based upon the science, the science should not be based upon the public policy. Any research used to support a public policy that will result in spending taxpayer dollars must be independently verified using statistical methods like double-blind testing. The data and research conclusions reached in the field of climate “science” would never pass the rigors required by the FDA for drug approval. If Wall Street brokerages used the statistical methods and “adjustments” similar to the climate scientists the SEC would have them all behind bars. Bottom line, we need a watchdog to ensure the accuracy, validity, reproducibility, efficacy and that the benefits outweigh the cost to society. Federal grants should be limited to Universities that demonstrate a staff inclusive of conservatives, and the research projects should be broken apart similar to building a new weapon system where no one researcher knows the big picture. The key is, the desired result can not be known to the researcher in order to ensure an objective conclusion. Financial conflict of interests must also be removed. Fight back against the left-wing climate bullies, don’t support their causes or unAmerican boycotts, blacklisting and/or censorship efforts. Demand Environmental NGOs start delivering products to the market. If a commercially viable solutions exist, produce it, and stop encouraging the spending of taxpayer dollars on unproven concepts. Left-wing groups use the US Treasury like it’s their piggy-bank and treat agencies such as the EPA like they are a venture capital firm. Please like, share on Facebook and Twitter, re-post, re-blog, and comment. Pass this on to your representative, school science teacher, skeptical friend, neighborhood climate alarmist and/or anyone that may have an interest. E-mail a link to 10 friends, local and national media, and include a link when commenting on articles. Help spread the word that there are legitimate arguments against the AGW/CAHG Theory. The climate alarmists win when they are allowed to stifle/avoid debate. This document provides a turn-key solution to starting and winning the debate. If you have a smoking gun of your own, please post it in the comments. Please Like, Share, Subscribe and Comment. Help Spread the Word. Pretty much everything on this page is either incorrect or a misrepresentation of science. If you send so called ‘skeptics’ out with this rubbish, they’ll get crucified by anyone with even a basic education on the topics. Please feel free to publish a correction to anything noted above. It is all pretty well documented, but we welcome, even encourage people to challenge what is written. If you demonstrate that what is published is wrong, we will publish a correction. You can rest assured that your comments won’t be deleted or censored like would happen on Pro-AGW websites. We welcome criticism, that is how we improve the site. CO2 is 410 parts per million or 41 parts per 100,000 or 4.1 parts per 10,000, or 0.041%. According to Wikipedia, that qualifies as a trace gas. Also, what is really important for this discussion isn’t the total impact of CO2, it is the marginal impact, which shows a log decay. Lastly, what is really important is CO2 impact on the lower atmosphere where all the ground-based thermometers are based. You can use MODTRAN to check this statement, it has 0.00 W/M^2 impact even with a doubling of CO2. I’ll repeat, 0.00 W/M^2 impact with a doubling of CO2. H20 completely makes CO2 irrelevant in the lower atmosphere. Please check my work with MODTRAN. The “trace amount” statements are distinct from and irrelevant to the “log effect”. Indeed, if it were actually a “trace amount” then there would not be IR optical saturation, aka “log effect”. Read my above link. 4) The first CO2 signature is identified using MODTRAN at about an altitude of 3 km when H20 is rapidly declining. There is no convincing evidence that CO2 causes material warming once it is above 200 ppm, especially if H2O is present in the atmosphere. Also, the oceans are warming. What is warming the oceans is what is warming the globe, and what is warming the oceans is visible radiation, not LWIR between 13 and 18 microns. This is an excellent resource. Thank you for the extensive effort! Your comments are greatly appreciated. Be sure to share. A long and comprehensive article, some of it quite technical, which is what this issue is all about. Decisions made on propaganda in the mainstream news is hardly adequate. Beliefs based on politicians policies similarly of no scientific value. An opportunity to learn the truth! I noticed three typos while skimming through this great summary. SG33 TP8 second sentence eleventh word should be on, not or. DTPs TP 14, 17trh word from end should be you, not your. Sorry, did I call you a “Redneck?” I was simply responding to your comment. At CO2isLife we view CAGW as a political movement not scientific discovery. Our position is that you can’t understand CAGW unless you understand the politics. That is our position, and the position anyone should take that truly wants to understand this issue. May I ask what qualifications you have, where did you earn your degree, and have you written any research papers that have been peer reviewed? I think my blog posts speak for themselves. I try to provide as many links as possible to verify the data, comments and conclusions. I am not a climate scientist, which I view as a huge positive because I don’t have a dog in this fight. I simply look at the data, and listen to what it is saying. I have a solid scientific background which includes extensive multi-variable linear regression modeling, advanced statistics, mathematics, chemistry, physics, wave mechanics and radiation/lumination. I have never been published in any climate science journals, and am sure they would be rejected because most if not all of my posts reject the CAGW theory. The data simply speaks for itself, and that is what I am trying to demonstrate. OUTSTANDING WRITE UP!!! It is really an amazing collection of information to combat the ignorance of man-made global warming. In the interest of accuracy, I came across an entry that needs to be corrected. Talking Point 6.Water vapor dominates the heat trapping in the lower atmosphere, and is why you can sleep naked in a rain forest, but not in a dry desert. Hot and dry deserts have a mean annual temperature of 20 to 25 degrees Celsius, and the extreme temperatures can range from 43 to 49.5 degrees Celsius during the day and minus 18 degrees Celsius at night. This Afternoon: Sunny and hot, with a high near 122. South wind around 8 mph. Tonight: Mostly clear, with a low around 93. South southwest wind 8 to 13 mph becoming light and variable after midnight. Wednesday: Sunny and hot, with a high near 124. Light southwest wind. Wednesday Night: Mostly clear, with a low around 94. South wind 3 to 7 mph. Thursday: Sunny and hot, with a high near 125. Light and variable wind. Thursday Night: Mostly clear, with a low around 94. Friday: Sunny and hot, with a high near 127. Friday Night: Mostly clear, with a low around 96. Saturday: Sunny and hot, with a high near 128. Saturday Night: Mostly clear, with a low around 97. Sunday: Sunny and hot, with a high near 128. Sunday Night: Mostly clear with a low around 97. Monday: Sunny and hot, with a high near 127. Just west of Barstow, ca. This Afternoon: Sunny, with a high near 102. West southwest wind around 16 mph, with gusts as high as 23 mph. Tonight: Mostly clear, with a low around 68. Southwest wind 10 to 18 mph, with gusts as high as 25 mph. Wednesday: Sunny, with a high near 102. West southwest wind 8 to 13 mph increasing to 16 to 21 mph in the afternoon. Winds could gust as high as 29 mph. Wednesday Night: Mostly clear, with a low around 69. Southwest wind 14 to 18 mph, with gusts as high as 25 mph. Thursday: Sunny, with a high near 103. West southwest wind 11 to 17 mph, with gusts as high as 24 mph. Friday: Sunny, with a high near 103. Friday Night: Mostly clear, with a low around 70. Saturday: Sunny, with a high near 104. Saturday Night: Mostly clear, with a low around 69. Sunday: Sunny and hot, with a high near 105. Monday: Sunny and hot, with a high near 105. This Afternoon: Sunny and hot, with a high near 110. South southwest wind around 16 mph, with gusts as high as 23 mph. Tonight: Mostly clear, with a low around 76. South southwest wind 5 to 13 mph becoming east southeast after midnight. Wednesday: Sunny and hot, with a high near 111. Southeast wind 5 to 15 mph becoming southwest in the afternoon. Winds could gust as high as 21 mph. Wednesday Night: Clear, with a low around 77. South southwest wind 5 to 10 mph becoming light south in the evening. Thursday: Sunny and hot, with a high near 113. Light and variable wind becoming west around 6 mph in the afternoon. Thursday Night: Partly cloudy, with a low around 79. Friday: Sunny and hot, with a high near 115. Friday Night: Mostly clear, with a low around 79. Saturday: Sunny and hot, with a high near 116. Saturday Night: Mostly clear, with a low around 81. Sunday: Sunny and hot, with a high near 117. Sunday Night: Mostly clear, with a low around 81. Between Phoenix & Tuscon, Az. This Afternoon: Sunny and hot, with a high near 106. West northwest wind around 9 mph. Tonight: Mostly clear, with a low around 77. Northwest wind 5 to 9 mph becoming east southeast after midnight. Wednesday: Sunny and hot, with a high near 108. South southeast wind 5 to 14 mph becoming northwest in the afternoon. Wednesday Night: Mostly clear, with a low around 78. Northwest wind 5 to 9 mph becoming light and variable. Thursday: Sunny and hot, with a high near 108. South southeast wind 6 to 14 mph becoming west northwest in the afternoon. Thursday Night: Mostly clear, with a low around 77. Friday: Sunny and hot, with a high near 109. Friday Night: Clear, with a low around 76. Saturday: Sunny and hot, with a high near 110. Saturday Night: Mostly clear, with a low around 77. Sunday: Sunny and hot, with a high near 109. Sunday Night: Mostly clear, with a low around 77. Monday: Sunny and hot, with a high near 108. Monday: Sunny and hot, with a high near 116. Northwest of Las Vegas, Nv. This Afternoon: Sunny, with a high near 94. West wind around 6 mph. Tonight: Mostly clear, with a low around 57. North wind 6 to 10 mph. Wednesday: Sunny, with a high near 94. Light and variable wind becoming west southwest around 6 mph in the morning. Wednesday Night: Clear, with a low around 57. Southwest wind 5 to 8 mph becoming calm in the evening. Thursday: Sunny, with a high near 95. Calm wind becoming south southwest 5 to 8 mph in the afternoon. Friday: Sunny, with a high near 94. Sunday Night: Clear, with a low around 60. Monday: Sunny and hot, with a high near 96. Thanks a million for the comment. I think it gets the longest comment award.